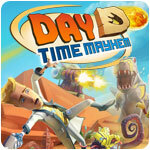 Day D Time Mayhem Game - Download and Play Free Version! 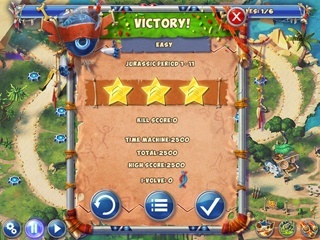 Trip into history and help a professor deal with hordes of dinosaurs! Take a journey to the past with a professor and his robotic assistant who became lost in time and help them defeat hordes of dinosaurs. Learn just how powerful science can be. 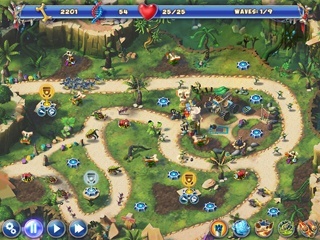 In this exciting tower defense strategy game, you must use the technology of the future to defeat monsters of the past! It's all in your hands in this uncompromising battle for the survival of the species. Explore a unique world with 20 levels, original opponents, fearsome bosses and rare fossils. You're sure to leave your mark on history!